Quality Backlinks work as a backbone for your website to make it stand at a better place in the search engine rankings. Writing blogs and articles are in fashion today. Everyone who is passionate about writing is busy creating their blogs and sharing them. Writing is a beautiful way of making people know about the writer’s opinion and sharing the same feelings in calm and composed manner. Blogging is an interesting hobby for many students, especially in college students are involved in content writing, blogging, website development, etc. Today’s youth believe in creating an impact on society, doing something which brings out a change in the mindset of people. The purpose of blogging is not just to fulfill one’s passion or dream but to bring out a positive change in the world we live in. Amit Agarwal is a famous professional 39-year-old blogger who brought tech blogging to India. He is an ex-student of IIT Roorkee and believes that writing is a personal choice. Don’t assume other stuff and influence the way you write, is his tips to all the fresh bloggers around the globe. Harsh Agarwal, another famous blogger started blogging for fun and enjoyed it as a hobby but today this fun is making him earn millions. He is the owner of shoutMeloud.com. According to him the USP for blogs is the transparency and the truth that prevails in the society. Shivya Nath another blogger who owns Shootingstar.com is passionate and madly in love with his career. So basically these bloggers explain that how writing has improved their lives. Starting your own blog might lead you on a wonderful journey of self- exploration. Blogging is a fair platform on which anybody with multiple thoughts and opinions can come freely, without any pressure and speak whatever he/she wants to. In the modern world, there are many purposes for blogging, promotion of an article being one of them. 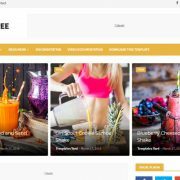 People starting a new venture, a business can easily promote himself and his organization with the help of these blogs and articles. Awareness is also the key purpose of writing blogs. Many people use blogs as the soul medium to spread awareness about any social evil or about any social service prevailing in a different region of the country. People who love grabbing every opportunity they get might have given a thought to write blogs. According to the Indian social writers on social networking sites, the reasons why blogging is very famous and the main advantages are- firstly people of any skill level with any amount of writing creativity can start their own blogs. You just need to have a thought and note it down or should I say type it down. Blogging does not mean to have a very classy, high level of English. Maximum Indian readers are not very strong with their vocabulary which clearly means they also prefer somebody with simple, basic yet impactful words. The second advantage of blogging being in today is that it has helped many individuals in coming out in public domain with their real identities and personality. People are no more shy and afraid of accepting as to what they really are by bringing out their name in public with the help of their blogs. Getting famous is what we aim for and blogging has helped many individuals acquiring fame and popularity. One more reason why blogging has become a famous hobby is that it lets you show off your skills in an easy manner. If you are a talented writer but not getting any good writing opportunity then why not consider blogging as a wonderful platform to write and get your name out there? Writing blogs has created lives of many young students. Coming to the term backlinks, what exactly are backlinks? From a normal dictionary, we can define backlink as an incoming hyperlink from one webpage to another website. The dictionary of SEO i.e. Search Engine Optimization and the content writing says the links from outside domains that point to pages on our domain, in short- the links from another web page which leads to our website is known as backlink. 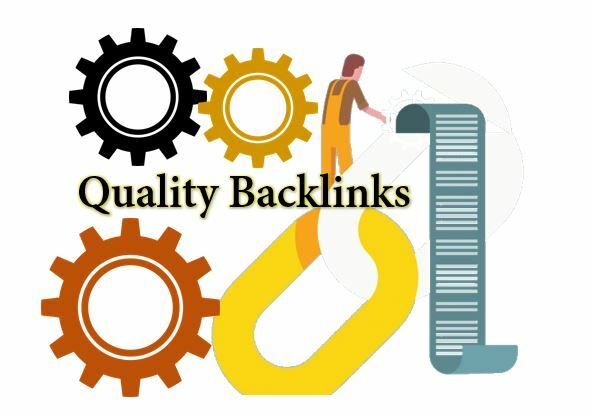 Backlinks are very important from the user’s perspective, they provide a way for people to find a different material study on the same topic with different information on a different webpage. Second importance of backlinks is in respect to the search engine. Previously the number of backlinks was an indicator of a page’s popularity. 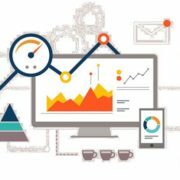 Search engine optimization (SEO) is a study in which we learn how to create more traffic on our web pages and websites. 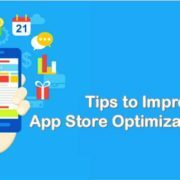 SEO describes the best way of gaining popularity and inviting more and more daily users and followers for the webpage. Thus backlinks not only help the users but has also been of much importance to the search engines which helps in determining the quality of the links leading to the website rather than the quantity. Backlinks are the building block for SEO. Guest posts are considered as the best method recommended By SEO experts to gain natural backlinks. Guest posting will make you the in charge and a well-known name in the web history. This will help you get the real traffic back to your website and not just the real traffic but an organic traffic to your blog which will help you in the further achievement of fame and popularity. You just need to start a thread in the forum and then need to link these threads to your blogs. The networking with other writers and bloggers just to influence the writers who write on the similar topic is considered a good way of creating more backlinks, which also comes under article marketing. Publish your article on various social platforms. Let people know what kind of material you are writing. If more and more people will read your article then it may automatically lead to an invitation for more and more backlinks to your blogs. Publish your article in article directories and again write guest posts for blogs. Link building and creating more backlinks is going through the same way of commenting. Blog commenting strategy is a good one. Many considered blog commenting as not the right way of creating backlinks but if done in a right manner it may be of some use. Commenting helps in connecting with the right kind of people. Once you comment, your comment becomes a part of the article which other people can read and get influenced by your writing. Do it strategically to attract the attention of people you want to target. • Make something even better. • Reach out to the right people. The main goal of a public relations expert is to build a positive reputation for the organization. PR focuses on generating media’s positive coverage which is going to be beneficial for the bloggers. More positive response from the media means more backlinks and popularity. It is considered to be the most dangerous ways of getting backlinks, but giving it a shot would not change anything drastically. Target the trending clearly means writing about the current, hot and trending topics which people are curious to know about. Be it related to politics, Bollywood, sports anything it just needs to be attractive and new to the readers. This also comes under article marketing, it’s a good policy for making your article and works popular. Sites like Scribd.com, Docstoc.com, Slideshare.net are some of the sites used for document sharing. They allow the users to upload documents in a variety of formats. Over time, these document sharing sites have grown to become very large among friends, family and have a lot of inbound links. Because of this document sharing, you can get indexed in Google very quickly, can also add images to your articles and easily add affiliate links to your articles. First of all, social media backlinks are not pointless. The truth is that social signals play a role as a ranking factor. It grabs a lot of attention and helps in creating more and more traffic on the blog. People using social media are clicking on different links and finding new sites in their news feed all the time. All this is going to traffic your blogging site. Start a new blogging and content writing contest and make linking to your blog one of the requirements. Build this great tool and many people will link to your tool and your blog. During this blogging contest also indulge in a big product launch and make the news at any cost. This is a very creative way of creating backlinks to your blogs. Link exchange can give you a lot of traffic, they are not in competition with your website which is again a plus point for you. They appear in search results with the same keywords as yours. These are the benefits of link exchange. Link building is also considered as the best way of creating more backlinks to your blog. Other methods of creating quality backlinks to your blog are- The broken- link building method, Backlinks through infographics, Build internal links, Promote your content, Contact journalists and important bloggers, spy on your competitors, etc. Just remember one thing, quantity is not important but the quality is important. I hope you like these 10 methods of creating more and more quality backlinks to your blogs and websites. Do not forget to try them with your writing work and be famous like other bloggers. Blogging is an amazing career option with a large number of monitory benefits. Do consider it as a good career option.